The World Usability Day (WUD) of Turin will take place in the Aula Magna of the Campus Luigi Einaudi of Turin University, on Thursday, November 10, 2016, from 9:00 am. It is an annual event, promoted by the User Experience Professional Association (UXPA) and a community of professionals, who work in different fields to ensure that the technology works as a factor in the promotion of the people, the expression, the personal fulfillment and the active citizenship. The theme of this edition is sustainability, or Green UX. Sustainability, regeneration and sharing are the three key words of the new economic, social and productive models. These have launched a conversion from consumption to re-use, from property to sharing and circularity. At the same time those, who design and offer products and services, are redefining the design in terms of sustainability, sharing and circularity of the future. 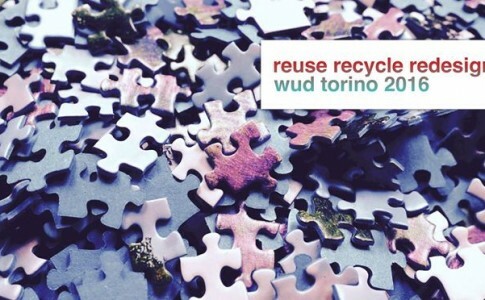 The WUD TO 2016 is an opportunity to try out the (re)design with and for people, and new ways to provide services and regenerated, sustainable, circular products, that are able to bridge the physical gap and to create physical a social impact . The event is open to everyone, but you must be registrated. 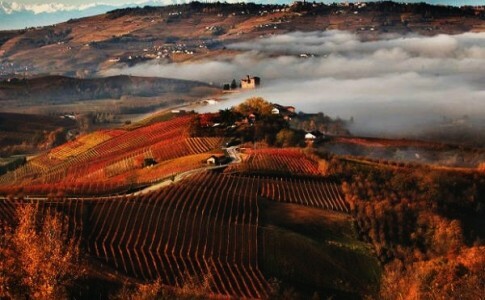 The Cultural Association Piemonte Mese organizes the 10th edition of the ‘Piemonte Mese Award’ – the youth describe the Piedmont region. It is open to young people aged between 18 and 35 years old and is only for unpublished articles, written in Italian. Culture. Any topic that is related to history, literature, art and architecture, music, theatre, science, customs and traditions. Economics, Tourism, Environment. Business, craftsmanship, innovation; typical products and productions; landscape, nature, ecology, food and wine. The aim is to help train young students of the communication sciences and to promote the region of Piedmont, by highlighting how unique it is, in terms of culture, creativity and entrepreneurship. The deadline for the presentation of the articles is 20th November 2016. You can find online the call for participation for ‘Start Creation Lab 2017’ of the Business Club of the Department of Economics and Statistics “Cognetti de’ Martiis”. The project has been realized in cooperation with the Collegio Universitario di Torino “Renato Einaudi” and “La Stampa”, the media partner that will follow the whole initiative. 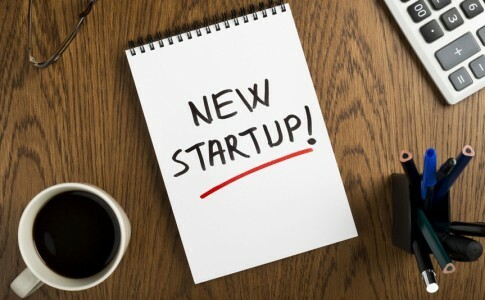 It is an initiative of the University of Turin that allows students to explore the world of start-ups and develop their own business idea. They will present their idea to national and international investors. If you want to find out all the details, you can find the call on the website of the Department of Economics and Statistics “Cognetti de Martiis”. You can send your application by 11.59 pm on Tuesday, 15 November 2016, by filling out the application form. You will find online on the website of the ‘University of Turin’ the new call for part-time collaborations of 200 hours. For all information related to how you can apply for collaborations, visit the website. The Scuola di Studi Superiori Ferdinando Rossi of the University of Turin invites you to the inauguration of the Academic Year 2016-17, on Thursday, November 3, starting from 9 am, in the Great Hall of the Campus Luigi Einaudi (Lungo Dora Siena 100, Turin). The opening ceremony will be also an opportunity to kick off the first edition of the Forum Interdisciplinare Ferdinando Rossi, conceived and organized by the students of the School to strengthen the multidisciplinary vocation. The theme of this first edition will be “The Future of Migration: a look at the second generation“, and will see the participation of important guests: Catherine Wihtol de Wenden of University Sciences Po in Paris, Bruno Mazzara of the University La Sapienza in Rome, Paolo Luigi Branca of the Università Cattolica del Sacro Cuore in Milan, Viviana Premazzi of the University of Turin and Marco Aime of the University of Genoa. Admission is free until all available seats. The project derives from the collaboration between the National Cinema Museum and the University of Turin and was created to strengthen the renewed interest of the young audience in the enjoyment of the cinema and the promotion of film culture. The initiative aims to reactivate the ideals of CUC, Centro Universitario Cinematografico (University Film Centre), which was active in the University of Turin in the late fifties and early seventies: the students proposed an exhibition that the National Cinema Museum and the University of Turin, together with the group “MYLF”, committed to supporting by offering them the chance to realize it at Cinema Massimo. The competition ended on 30 September and, after examining the proposals, judges decided to give two first prizes ex aequo: one to the group of DAMS students who proposed the project “Movie Club 2.0. Ieri, oggi and domani … al cinema “” and one to the mixed group of students from other faculties proposing the project “DiVisione in Visione“.The two exhibitions will take place at the Hall 3 of Cinema Massimo in the course of 2017. Did you get a degree no more than 2 year ago at Unito? Or are you in your last year of the course of study of Unito? UniTo organises a Job Day at Pala Alpitour, in Corso Sebastopoli 123 from 10 a.m. till 5 p.m.. This Job day will allow you to meet the most important Italian and international companies, you can leave your curriculum and get a first interview. Twelve scholarships for international students willing to enrol in Università degli Studi di Torino second cycle degree for the a.y. 2015-2016 are available. These scholarships are addressed to students who, regardless of their citizenship, have obtained their entrance requirement for Master Degree (First Cycle Degree or equivalent qualification). Above-mentioned qualification must be achieved abroad at foreign institutions operating outside of the Italian system. Deadline: 26th August 2015, at 11 am (Italian date and hour). Scholarships will cover enrolment taxes and living costs in Turin. The total amount of the scholarship is 9.000 euro per year, 750 euro per month for 12 months, gross of all charges for the beneficiary’s account. Moreover, scholarship-winning students will be required to pay only the amount of the first instalment of the enrolment tax per year, and will be exempted from the second instalment. Applications are admitted just for the first year enrolment, applicants enrolled with a shortening of course will not be accepted. Erasmus Mundus students or MAECI (Ministry of Foreign Affairs and International Cooperation) scholarships beneficiaries will not be accepted. For futher information please contact: segrstu.stranieri@unito.it. The new announcement for part-time collaborations was published on the website of UniTo, at the page Collaborazioni a tempo parziale. It is addressed to those students who want to offer support to disabled and pupils with learning disabilities . The deadline to sign in is Friday, 19th June, at 12. Here you can consult the announcement. Friday 15th May is the deadline of the second university fees instalment. Extra-charge will be due in chase of delayed payment. The instalment can be paid with MAV (ask to your Bank), or by the Internet banking service at the information desk in any bank, paying by cash or by bank account. You can find all the details on the website of UniTo clicking on the entry: Tasse.